Check out The Extra Extra End Podcast! Click channel below to open its player. A red "Live" flag lets you know the channel is streaming now! The archives for the 2017 USA Curling National Championships is available by clicking here! ​Or you can see the top ten shots from the 2017 USA Curling Nationals above. ​Full draw replays of all 2018 USA Curling Nationals Webcasts are available here. with scoreboards, multiple camera angles, and much, much more. 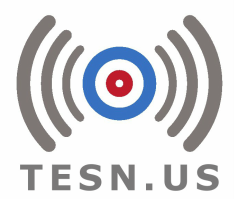 Click here to learn about more TESN features.